Traditional pathway lights: this option consists of numerous miniature lamp posts that line an outdoor walkway. 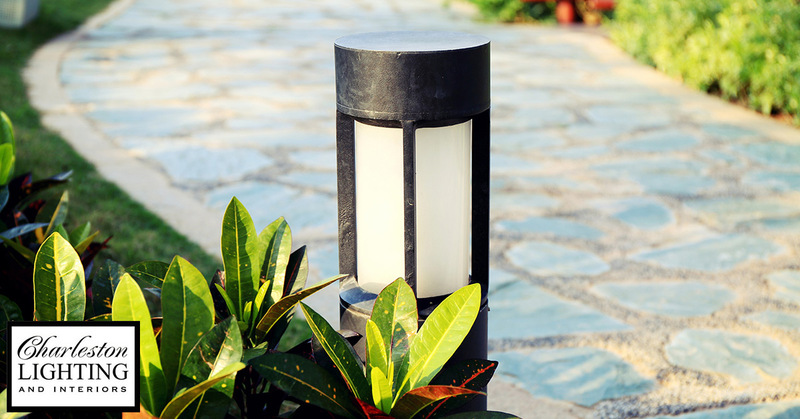 Due to their style, these outdoor light fixtures tend to splash light on the edge of your pathway, as well as a little bit onto the lawn or garden they help keep feet away from. 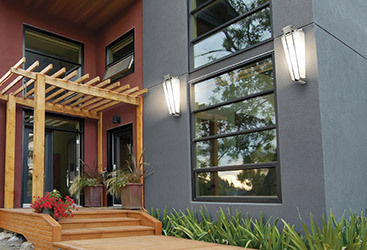 While they may not be the most powerful of pathway lighting options, they can be found in a variety of styles, including LED, solar, and traditional. Downlights: Do you have a tree near the walkway at the front of your home or another landscape addition that could be utilized in a secondary way? If so, utilizing a downlight is a great way to shed some light on most of your exterior pathways. 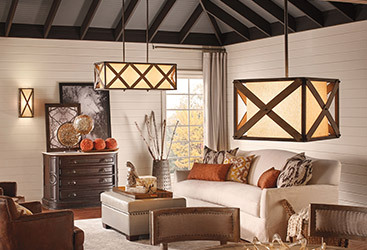 Acting almost as a combination of spotlights and outdoor lamps, these light fixtures will splash a soft pool of light across a fixed portion of a walkway or porch. 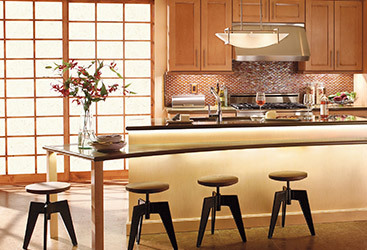 This can be great if you only need to illuminate the first few steps of a patio or a particular dark patch of sidewalk. Upward Spotlights: Like downlights and traditional pathway lights, miniature upward spotlights are used to splash light across a pathway while also lining the boundary. These lights face inward and upward, casting brightness across the length of your pathway without lighting any of the yard or garden itself. 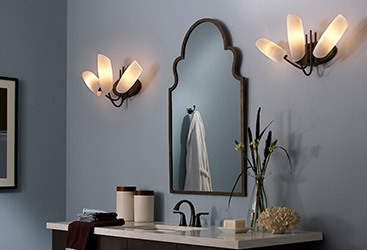 Stair Lights: Unlike sconces, these lighting options do not have a wall to decorate. Instead, these stair lamps are fixed into or on the side of your exterior steps, whether on a patio, leading up to your front door, or heading down the deck into the backyard. In the dark, judging the depth and height of a stair can be difficult, so illuminating them can be a smart, safe, and helpful choice. When we talk about pathway lighting, you often won’t find yourself needing a guide in the middle of the day. 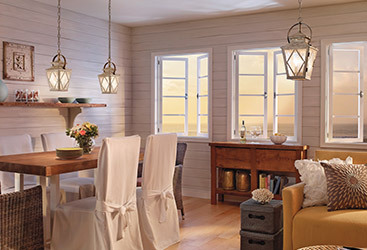 Instead, your exterior lighting is almost always required after the sun sets. 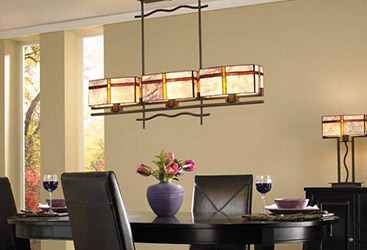 Thus, choosing solar outdoor light fixtures is a great option. Rather than accidentally leaving your exterior lights on all day because you forgot to flip a switch, solar lights will store the daylight and use it to power themselves when the sun goes down. Solar outdoor lights are also great because they can often be used right out of the box, which makes them a hassle-free option if you need a fast solution to your outdoor lighting needs. 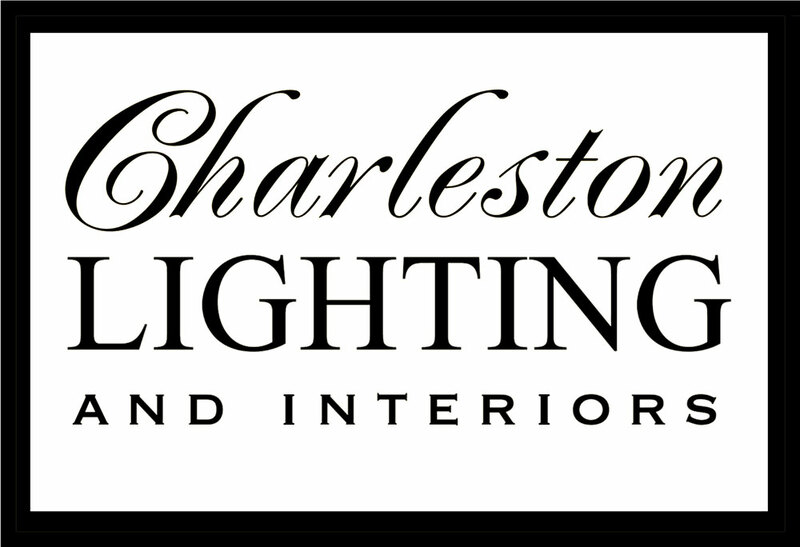 If you are looking for just the right outdoor or garden lighting for your home’s exterior, come by the Charleston Lighting showroom or give us a call. 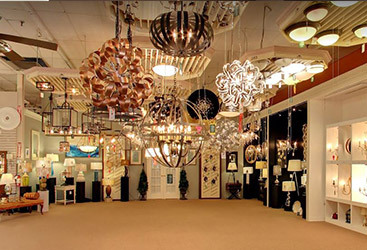 We have the best selection and finest staff in South Carolina, and we can answer any lighting questions you have and help you choose the lights that are right for you!